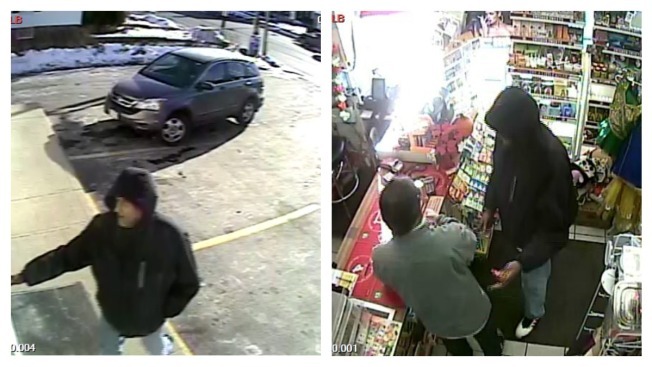 Police are asking for the public's help to find a man who stabbed a clerk in the hand. Surveillance stills from the armed robbery in Concord, New Hampshire. 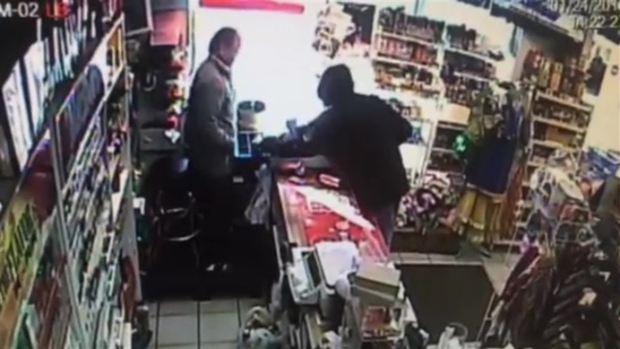 Police are asking for the public’s help this week after a store clerk in New Hampshire was attacked and stabbed in the hand by an armed robber. The clerk told investigators that the man came into the Concord Mart Convenience Store at 242 North Main Street in Concord, brandishing a knife and asking if the clerk “wanted to die.” He then demanded cash from the register. The clerk said he opened the drawer and that the suspect began to collect money. Moments later, the clerk returned with a stick from behind the counter in an attempt to scare the robber off. During the ensuing struggle, the clerk was stabbed in the hand by the suspect, who fled the store with an undisclosed amount of money. A Concord, New Hampshire store clerk fought off a robber with a stick behind the counter on Sunday afternoon. Police described the suspect as a man, possibly in his 40s, with grey facial hair and wearing a dark-colored, hooded jacket. He was also sporting white and black sneakers and light-colored blue jeans. Anyone with information about the attack is encouraged to contact the Concord Police at (603) 225-8600.